Though the current average retirement age is 62, retirement culture is swiftly changing. Today's college graduates may not be able to retire until 75. If you're a decade or more away from retirement, that could mean your retirement is pushed back closer to your early seventies. The good news here is that this gives you more time to save for the retirement of your dreams. Your retirement might not look much like your parents' and it will certainly be substantially different from your children's retirement. Here's what you need to know before you take the plunge. When your boss or the government gives you a break or assistance investing, take advantage of it! Investing your pre-tax income can reduce your taxable income, giving you more room to save. And when your employer offers to match your contributions to a retirement account, you're getting free money, so max out those contributions. It might hurt a bit now, but it's better than struggling through decades of retirement. If you plan to continue working part-time after retirement, your Social Security payments could be reduced. The rules governing these reductions are complex, but you should speak with a retirement coordinator or financial planner before taking the part-time work plunge. 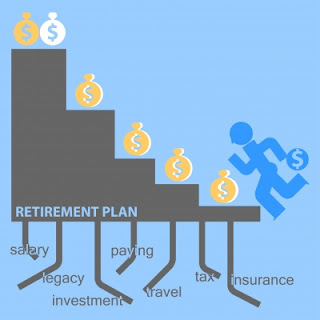 In some cases, you might be better reducing your part-time load, or even drawing full social security without working at all, but it all depends on how much in benefits you stand to lose. Once you are over the age of 62 and own your own home, you could be eligible for a reverse mortgage. This senior-exclusive option allows you to tap into your home's equity to get a lump sum or receive supplemental monthly pay. Debt—particularly credit card debt—almost always carries a higher interest rate than even the best investments. If you take on debt to finance expenses in retirement, or if you don't pay off your debts before you retire, you could end up spending more money than you make investing. Generally speaking, it's a better idea to work for another year or two to pay off debt than it is to retire early, even if you have plenty of savings. After all, if you have lots of savings, then you should have enough to put toward your debt—otherwise you're simply not ready. Don't forget about inflation! A tidy pile of money might seem like a lot right now, but at an average rate of 3% inflation, you could easily burn through 25% of your purchasing power in just 10 years. This is why it's important not just to set aside enough to get you through the rest of your life, but to actually plan for more than you might need. After all, if you save too much, the worst case scenario is that your children get a nice inheritance. Save too little, though, and you could be looking at trying to earn more income at the ripe old age of 85.